University of California at Los Angeles, UCLA, with a degree in mathematics. 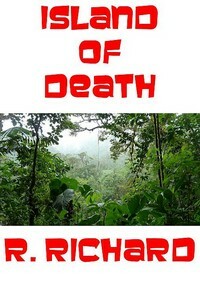 Five people find themselves kidnapped to an island, to serve as prey in a death hunt. Raven is a female MMA fighter. Nushawn Deveraux is an NBA power forward. Ziji Chou is a Kung Fu blackbelt. Oscar Guererro is a pro body builder. Joan Riley is an ex middle East army veteran. Gene Davies is supposedly an NFL football player. He’s a hunter of those who owe money. Messing with Gene is a big mistake.